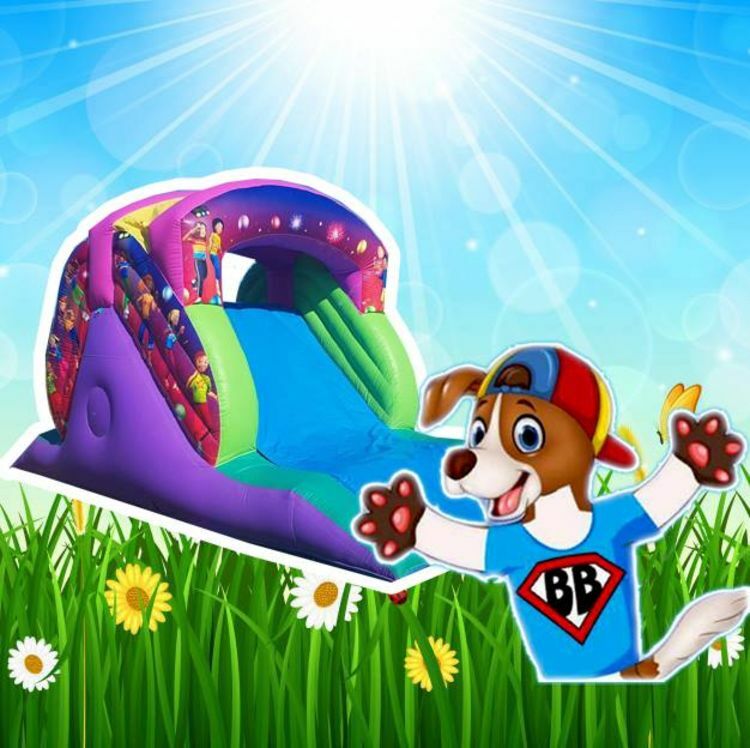 A popular choice garden slide for the active younger kids and tots. An alternative to the straight forward castle. Climb the ladders at the rear of the slide then scoot over to shoot down. Allow an additional 3ft at one side for the blower.